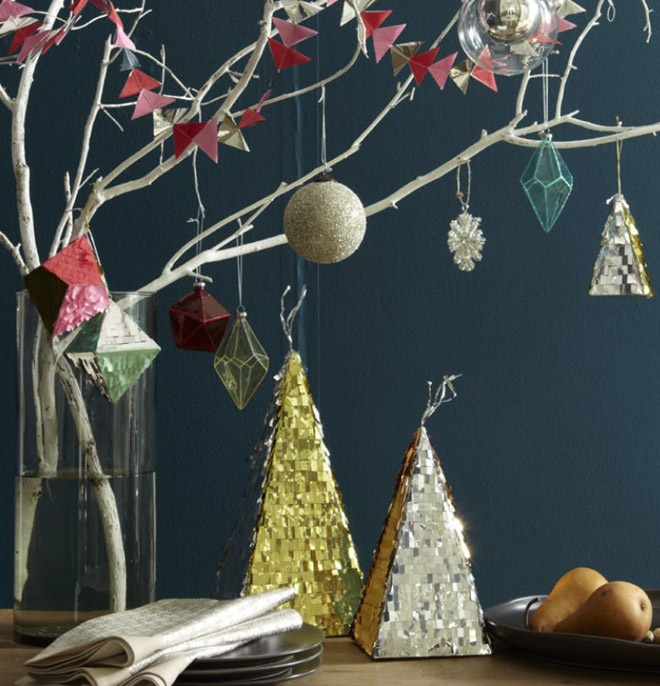 A little inspiration today from West Elm's holiday trim collection – bright shiny ornaments and trees from Confettisystem, felted snowflakes, rustic woodland wall trees, gilded pinecones, glitter tree toppers – pretty things. 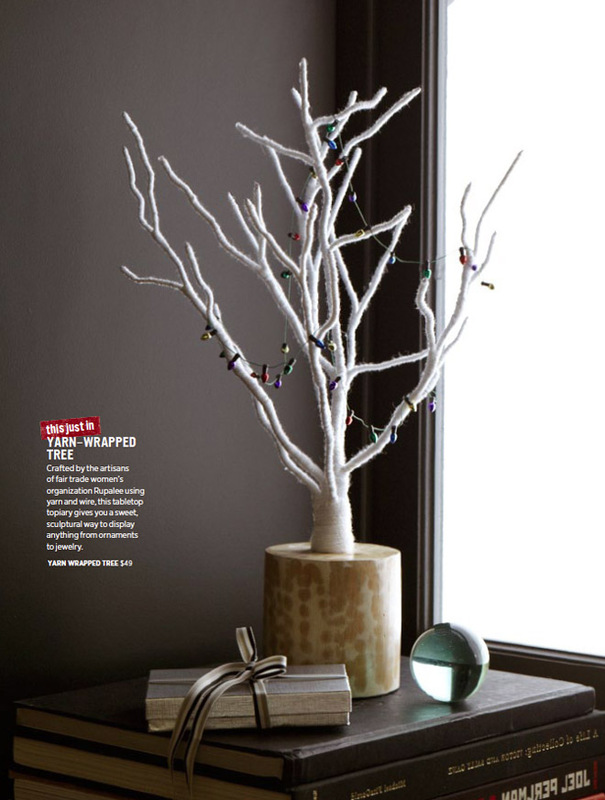 See more at westelm.com. 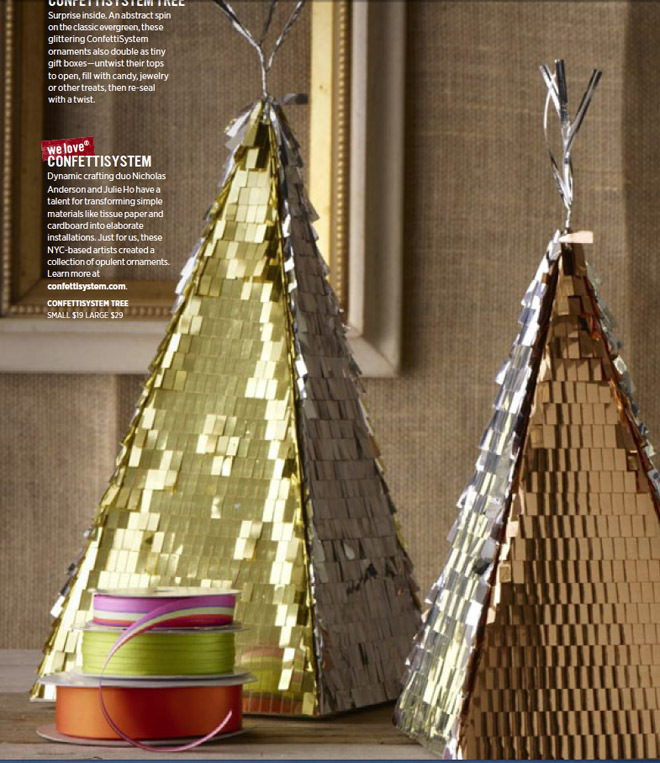 I saw all this decorations at West Elm and I just wanted to take it all to our home!! 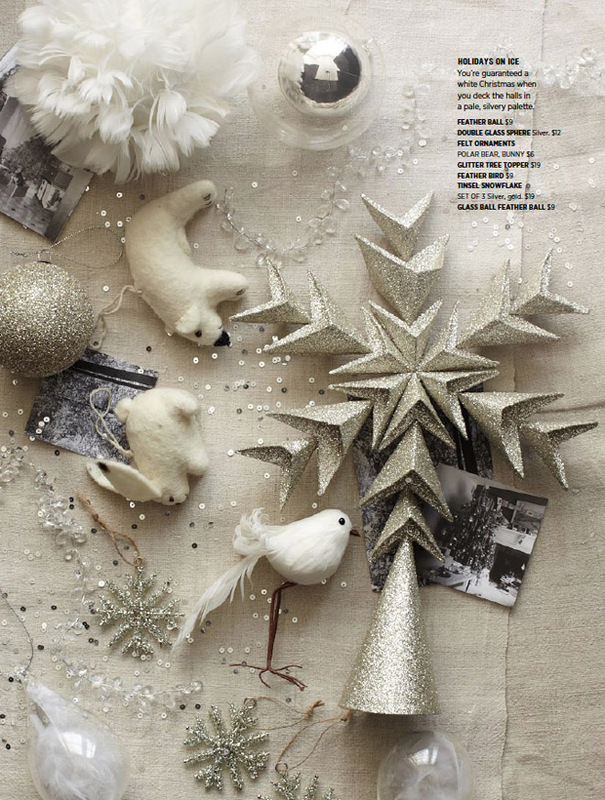 I love the confetti ornaments! 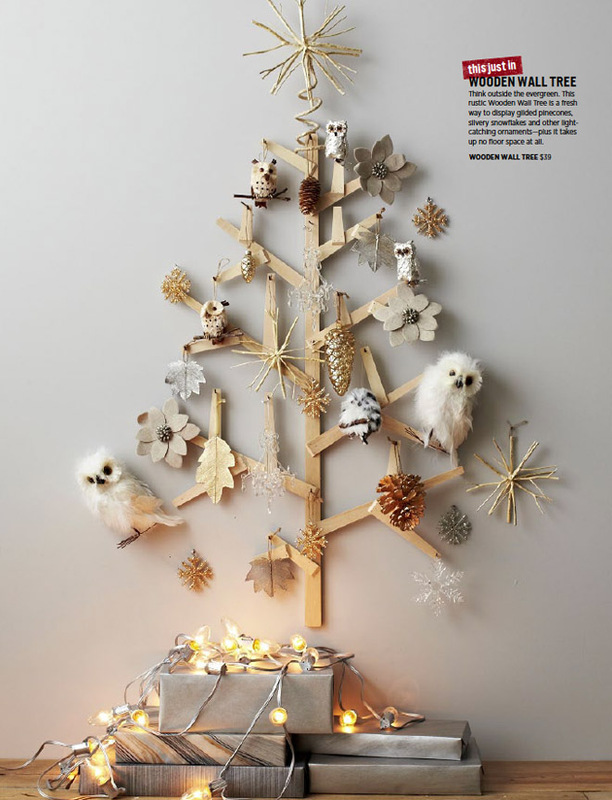 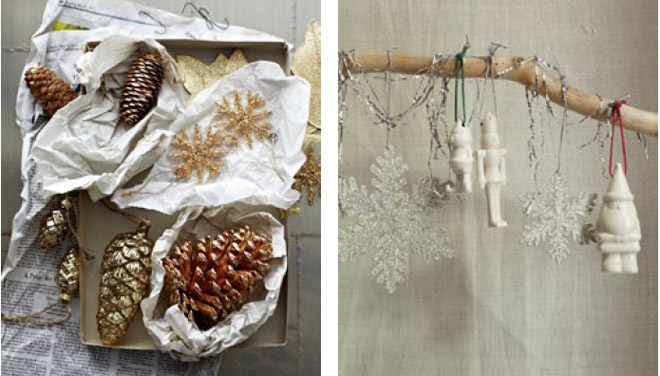 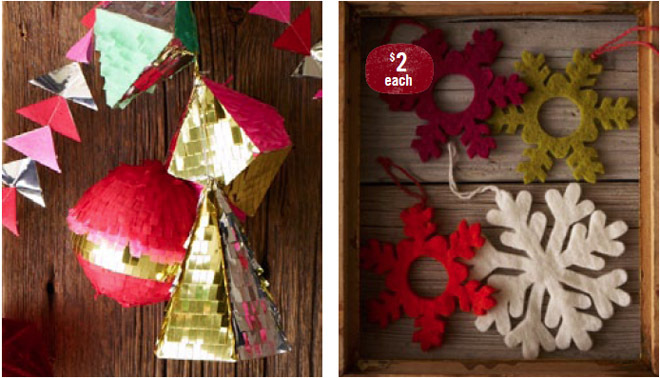 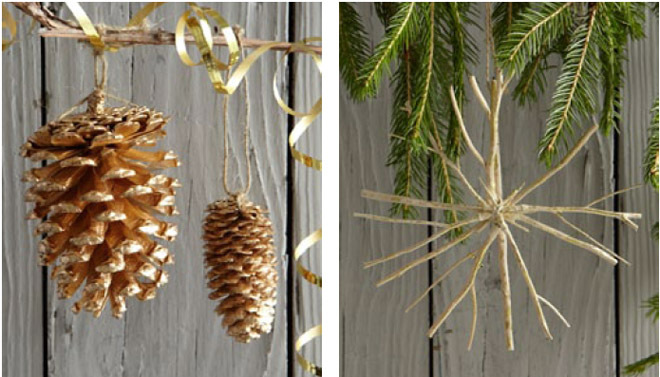 When I saw them in the West Elm holiday catalog, I instantly wanted to start a Christmas DIY. 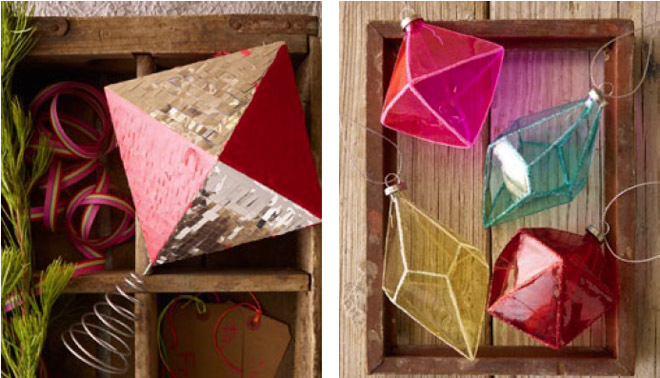 They are adorable and the color combos could be endless. 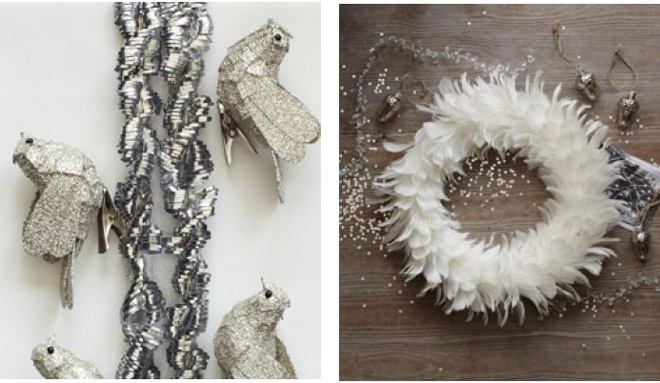 I really want to make my own confetti strand and dress up my walls for Thanksgiving and Christmas.